I accumulated a lot of new items at The Missouri State Yo-Yo Contest. This is some of it. 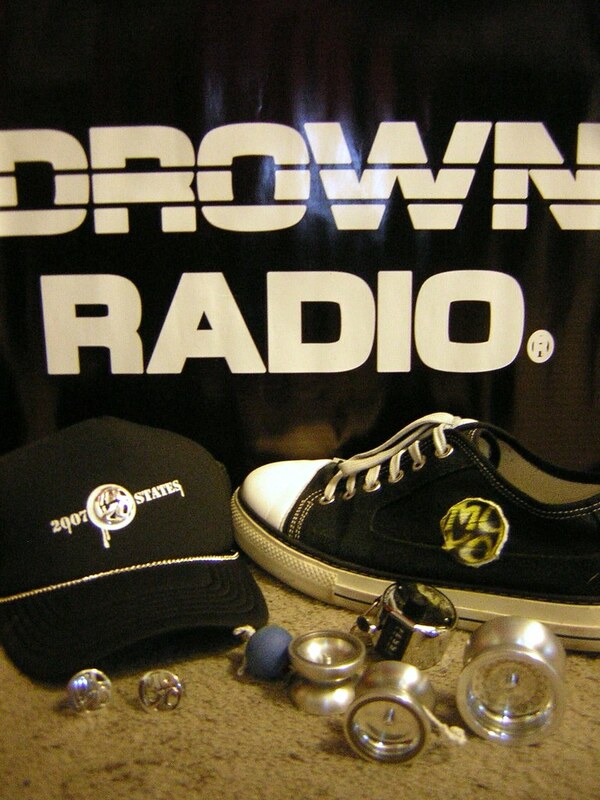 Drown Radio signage from my show. MOYO tag on my Blackspot sneaker. Louisville Slugger clicker from Rick. Dert by Russ Andert. Traded for a something something. I love it. Baby Dert, bought from Chris. First yo-yo I’ve bought in a long long time. Baby Dert, traded for a something something. I love the Baby Dert, it’s totally my favorite new yo-yo of the year. MOYO cufflinks. Sterling silver with the date of the event stamped on the back. Modded trucker hat. With a MOYO pin over the printed logo. The event was a blast, I saw lots of old friends from my early days in the midwest and did tons of climbing in the City Museum.